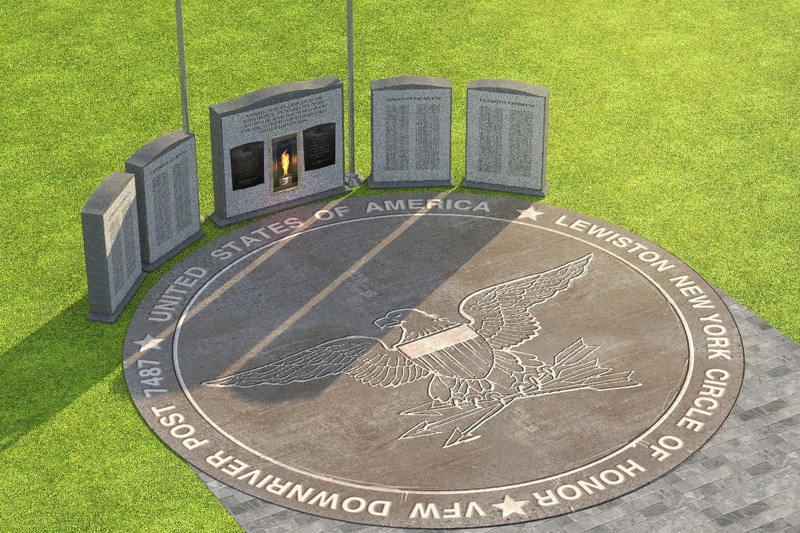 YOUR SUPPORT FOR LEWISTON'S NEW CIRCLE OF HONOR IS NEEDED AND APPRECIATED! 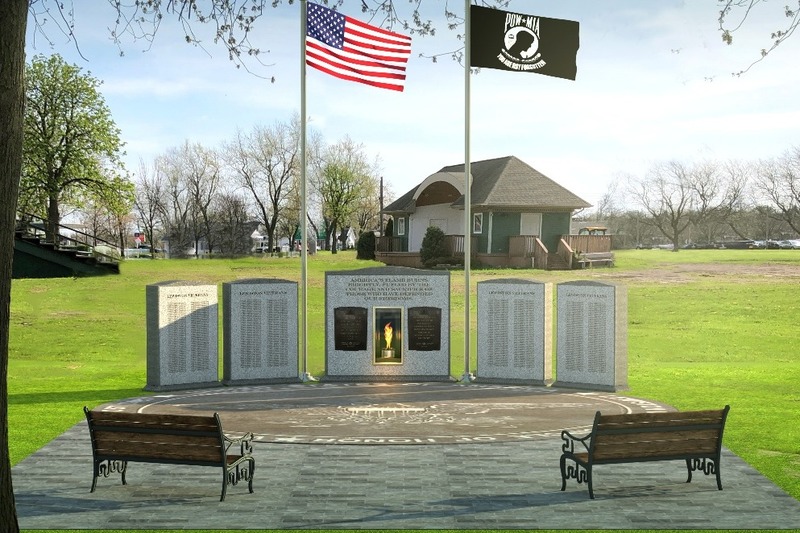 The Lewiston (NY) Veterans of Foreign Wars Downriver Post 7487 has announced a major redesign project that will transform the current Lewiston Veterans Memorial at Academy Park into one of the region’s most renowned sites that pay tribute to those who have served our country. It will be called the "Circle of Honor" and will feature a large granite platform with the eagle defense symbol. Now, any U.S. veteran who is from Lewiston, or who has lived and worked in Lewiston, will be eligible to have their names inscribed on the granite honor stones. 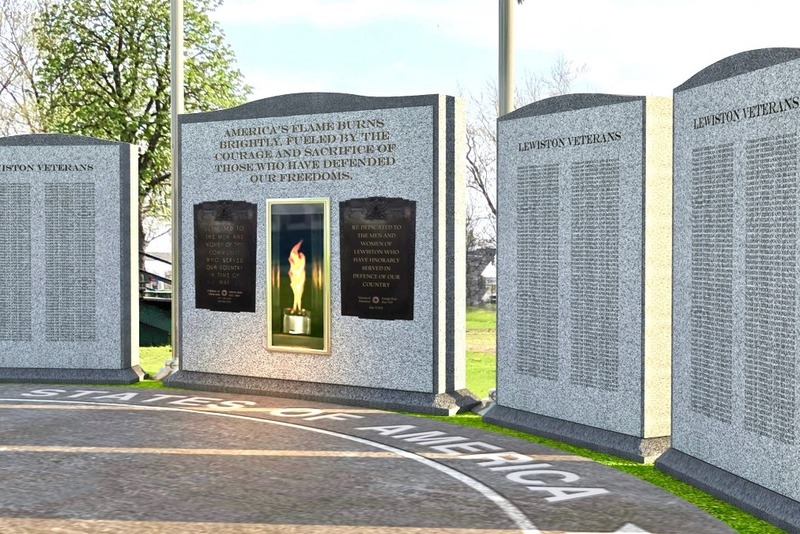 (If you are interested in having a loved one's or friend's name inscribed on the Memorial, application forms will be available soon at the LewistonVFW.org website, or you can contact us here.) This is the VFW's largest project ever and support from every sector of the community is needed and appreciated. Lewiston's eternal flame will be enclosed within the centerpiece just below the inscription: "America's Flame Burns Brightly, Fueled by the Courage and Sacrifice of Those Who Have Defended Our Freedoms." This is our chance to engrave the names of our family and friends on the honor stones so that the memory of their service can be preserved for future generations. This is the least we can do to honor our local military veterans. Thank you for your generous support and contributions.